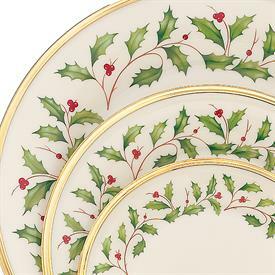 Lenox HOLIDAY (CHINA) List of In Stock items. Lenox Holiday, Square Fluted Dish 4 1/4 Inches. Lenox Holiday 830135 Checking it Twice Salt & Pepper Set 4"
Lenox Holiday Covered Candy Dish 6 Inches High. Holiday Square coffee pot 9 inch high , 58 oz. Lenox Holiday 822180 Candlestick (Set of 2), 4.5"
Lenox Holiday 822181 Divided Condiment Dish 9"
Lenox Holiday 830131 Santa Cookie Jar 8"
Lenox Holiday 830176 Home For The Holidays Bowl 8"